of Inspector Gadget's 25th anniversary. Fanny's Party, November 4, 2008. 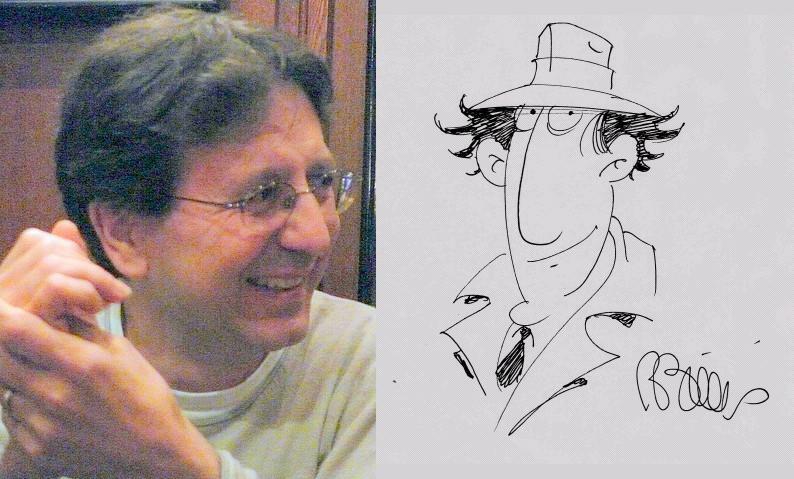 A piece of unbelievably sad news reached me earlier this week: Bruno Bianchi - the co-creator, supervising director and main character designer on Inspector Gadget - passed away last Friday on December 2. Gadget's 25th anniversary. Fanny's Party, November 4, 2008. I first heard on Cartoon Brew Biz, which had gotten the news through Animation Magazine. According to several sad postings on French sites, the cause of death was cancer. He was 56 years old. That is just way too early to go, not least for such an amazingly creative person. Bruno is and will forever be one of my heroes within television animation. With the shock of him gone still pretty fresh in my mind, I've decided to use this post to reminiscence about my personal favorite cartoons from his impressive career. 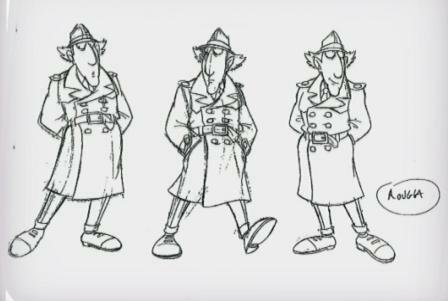 First, let's talk a little about his creative contributions to my favorite among all (yep, you guessed it): Inspector Gadget. Another original sketch by Bruno. Fanny's Party, November 4, 2008. 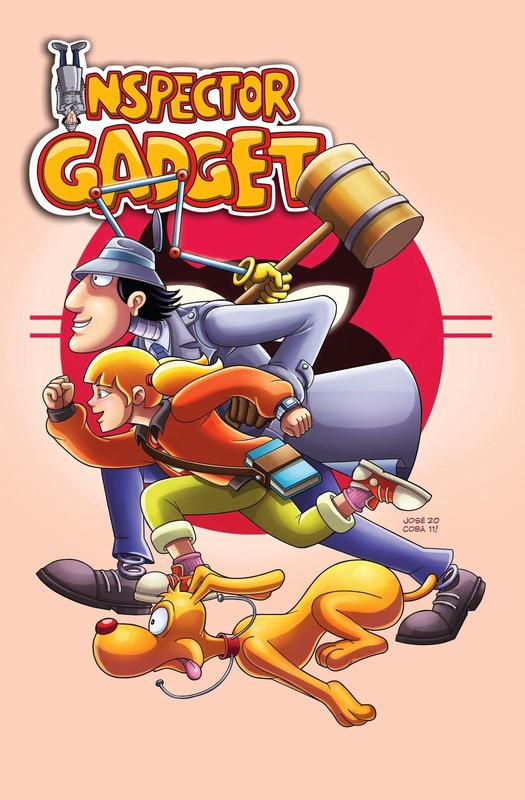 Gadget's design, his face and nose in particular, clearly has its roots in the style of French comic book series such as Asterix... which I feel pretty certain Bianchi, being a Frenchman, grew up with and was influenced by. 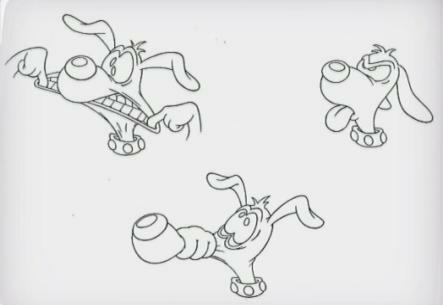 Brain is a pure cartoon animal, closely linked to the squash-and-stretch traditions of Hollywood cartoons. 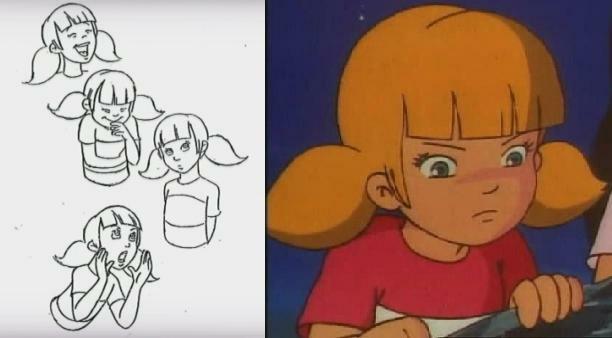 Penny - original 1983 expression sheet+screenshot from the episode "The Japanese Connection". And then there's Penny, whose design - in the face and especially the eyes - reflects Japanese anime. The model sheets (left) don't quite show it off as well as the animation in the show (right), but the anime-ish eyes and some of her expressions are already there. 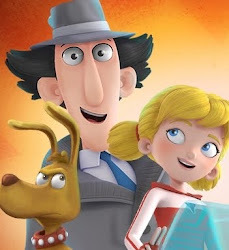 I've been fascinated for a long time by this; how each of the three main characters in Gadget actually seems to represent one of the countries co-producing the show! Makes you wonder if Bianchi planned it consciously when designing the characters... perhaps to make the show more fun to work on for the various production units across the globe. 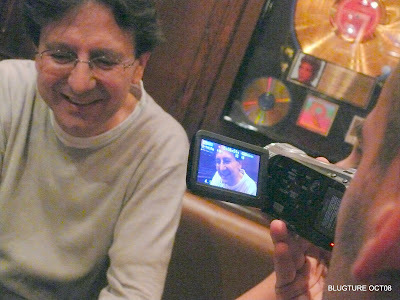 The word fun brings me to an extremely important part of Bianchi's work as a cartoon director: a sense of pure fun. 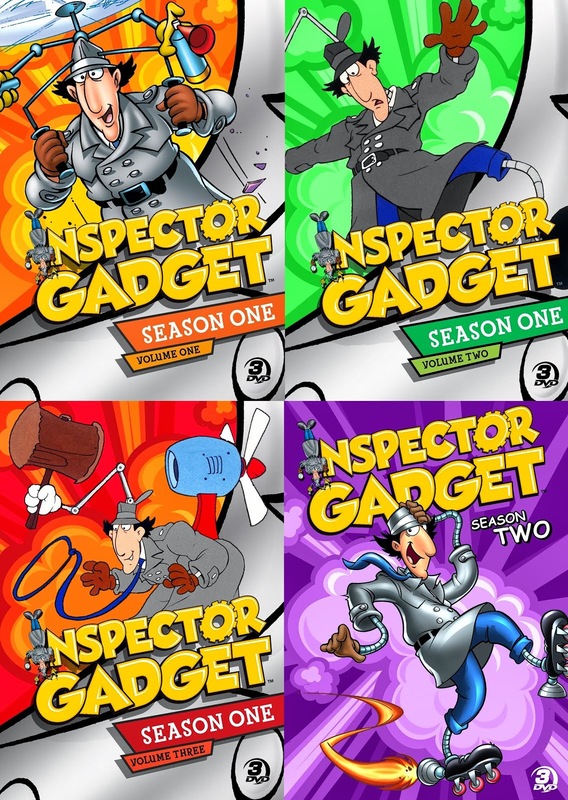 Inspector Gadget may not always be the laugh-out-loud funniest show on the planet (even though it can be hilarious at times) - but, at least during its first season, it was almost always FUN. There is a difference between the words "funny" and "fun"... and I'm mentioning it, I think, to talk about Bianchi's wonderful energy as a director. Because, admittedly, Inspector Gadget WAS his very first outing one of his earliest major projects as a director - and especially some of the early episodes have their clumsy moments revealing that the director was new at his job. 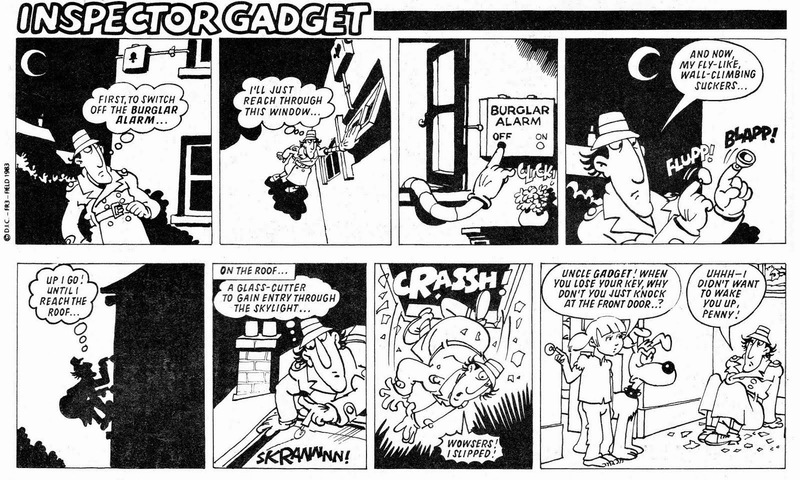 But Bianchi quickly picked up steam - as the rest of the show crew probably did, too - and as Gadget's first season progressed, Bianchi's direction became much more fast-paced, loaded with energy and throwaway gags. These ingredients kept Inspector Gadget fun to watch despite the occasional clumsy timing, and despite the occasional gag falling flat or not completely making sense. In fact, I think this was part of the show's charm. 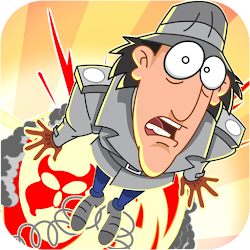 Inspector Gadget is, to be honest, an incredibly silly cartoon show with a lot of logical flaws, and once you start looking for logic, everything falls apart. But the great humor and energetic execution of the show overcomes it all. When I first started watching Inspector Gadget, of course, I was a little too young to analyze it like that. But the show always meant great fun to me... and it represented a unique form of entertainment. 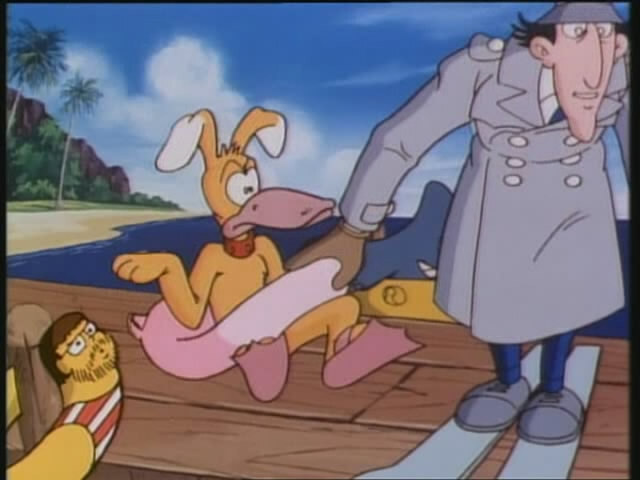 I remember that when I first came across Inspector Gadget at age 11, I had never seen anything quite like it before. Great characters, funny gags, an idiotic but yet brilliant premise - and, not least, all the cool touches! (Gadget and Claw's awesome vehicles; the fact that Dr. Claw's face was never seen; the fact that Gadget was really an idiot, though a lovable one; Penny's action scenes; Brain's never-ending and highly sympathetic struggles to save Gadget...) So much was going on in almost every episode - and the show also made a habit of throwing in additional quirky gags which not really added to the plot, but added fantastically to the entertainment value and the characterizations. I instantly loved the fast-paced, gag-filled nature of the show. It was a wonderful blend of action and humor, and I think Bianchi's contributions as a director had a lot to do with that. The first time I ever came across Inspector Gadget was on television way back in 1999.
is there a human face on that bathing ring at bottom left?! I have no idea, but I love it! From the episode "Sleeping Gas". 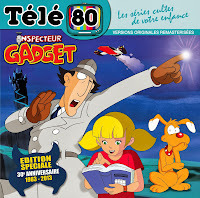 A few years later - at the same time as I first discovered Inspector Gadget on one of my Norwegian channels, and forever fell in love with it - I simultaneously became a fan of one of Bianchi's other shows (which usually aired right before Gadget): Iznogoud (1995), about the grand vizir who wants to become sultan instead of the sultan! Bianchi produced and directed this series, that was an adaptation of the famous French comic strip created by René Goscinny (of Asterix fame) and Jean Tabary. 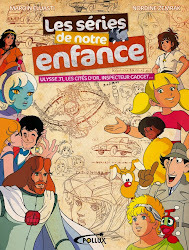 But Bruno Bianchi's cartoon adaptation from the 90s made me a fan of Iznogoud long before I read the comic! In fact, even though the original comics are ultimately better, the cartoon series captures the strip's quirky humor and satire to an impressive degree... as do the excellent character designs and animation, even if they're not quite as free-wheeling as Tabary's ink lines. And I just love the intro. Below is the first half-hour episode in English (I still distincly remember watching the second half's cartoon, "Hat's Off!"). I hoped you enjoyed some of my personal remembrances of Bruno Bianchi's cartoons. Although I haven't seen anywhere near all the series he's done, I have fond memories of all the above-mentioned shows. This has been a bittersweet post to write. 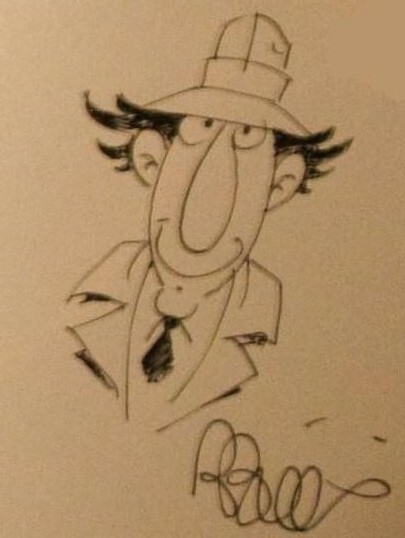 Sweet because I've long had in mind to do posts about Inspector Gadget's creators, and it felt good to talk a little about the personal impact Bianchi's work had on me. Bitter because I wish this hadn't happened at all. 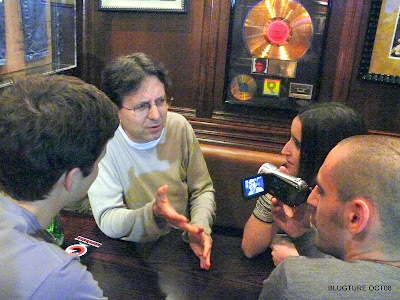 Bruno shouldn't be gone.... he should still be with us, out there, creating new cartoons for new generations to enjoy! Thankfully, though, his best work will live on forever. What more can I say? Well, this, for one thing: Thanks, Bruno - for everything. I'll never forget all the fun. This post may be updated during the next days with additional pictures, videos and thoughts. For now, though, I just wanted to get these thoughts about Bruno out there. I also hope (if I get the time) to do more posts about him, showcasing drawings, photos and even more videos and other shows he's done. 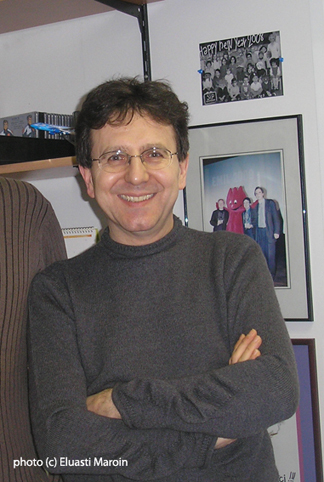 Last, but not least... if any of you would like to share your own memories of Bruno Bianchi - either of him as a person, or as a fan of his work - I'd love to hear them. EDIT (February 19, 2012): This post has been modified slightly. I originally wrote that Inspector Gadget was Bianchi's first work as a director... but this proves not to be true. Check out my post about a cartoon show he directed three years before Gadget at this link. Coolest. Dr Claw Sculpture. Ever!